According to a fiscal 2020 budget justification published by GSA, the majority of OPM’s functions will be sent to GSA, making OPM a human capital service alongside GSA’s existing Public Buildings Service and Federal Acquisition Service. Meanwhile, the majority of OPM employees, who work in the National Background Investigations Bureau, will be transferred to the Pentagon, while three employees who work on policy issues will be sent to the Executive Office of the President as an office modeled after the Office of Management and Budget’s Office of Federal Procurement Policy. Acting OPM Director Margaret Weichert said Wednesday that the changes would take place in two broad phases: this year, functions the White House believes can be done administratively, like HR Solutions and OPM’s IT services, will go to GSA, while remaining offices, such as those that work on retirement and administration of the Federal Employees Health Benefits Program, will have to wait for Congress to pass legislation. The cost of the transition, as requested in the GSA budget, would be $50 million in fiscal 2020. The document also offers some new details about where other OPM functions would wind up in the reorganization, although many questions remain. An Employee Services office would administer laws and regulations related to recruitment, workforce planning, performance management, pay and leave, as well as programs promoting work-life balance and diversity. A new Health Care and Insurance office would consolidate OPM’s existing health care and insurance responsibilities into one organization, administering FEHBP, Federal Employees’ Group Life Insurance, the Federal Long Term Care Insurance Program, and other health insurance-related programs. Although the initial reorganization plan was unclear about where OPM’s work to uphold merit systems principles would wind up, the budget justification makes clear it would be part of GSA as the Merit System Accountability and Compliance office. 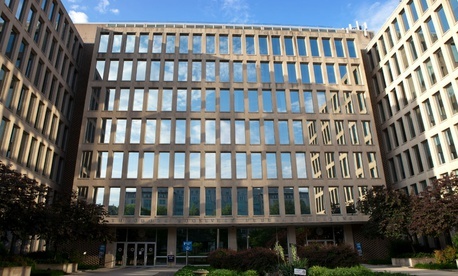 The budget justification does not outline whether the reorganization would lead to a net job loss at OPM, but it states that 3,315 NBIB employees would be transferred to the Defense Department, while 152 posts at the OPM Office of the Inspector General would be absorbed by the GSA IG’s office. Weichert did not say Wednesday whether the OPM director would remain a Senate-confirmed presidential appointment. It is also unclear whether the legislation would be part of a broader proposal to reshape collective bargaining at federal agencies, which likely would dampen the reorganization’s chances in Congress.